Our BigCommerce contact us form app helps with any main requirements in receiving feedback and enquiries from users of your site. 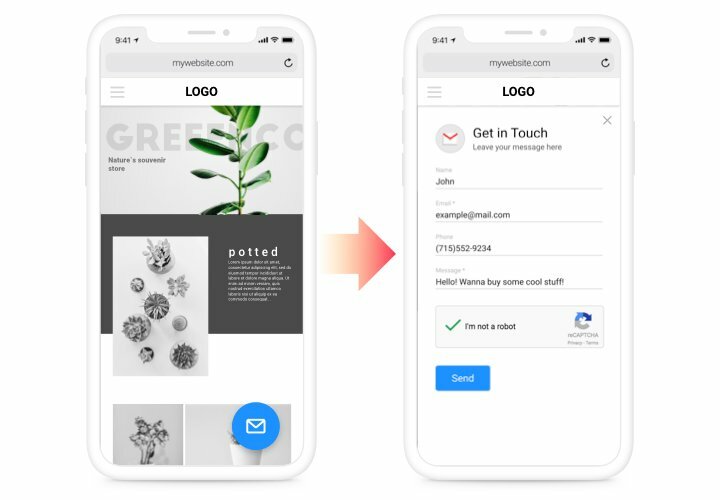 Show the needed elements for filling, choose the desired template and customize the design, to encourage your users even more to write their impressions about your services or business. Receive feedback, take requests and answer the questions of your site clients! Uplift the number of probable shoppers. 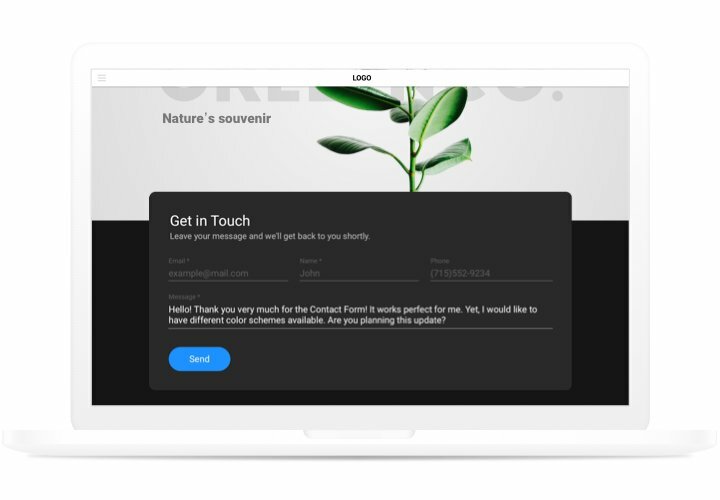 Assure continuous contact with future customers 24/7 via an easy form on your site and have more users who are intended to order. Collect more impressions about goods or services. Feedback of your clients is very important for the improvement of the business. 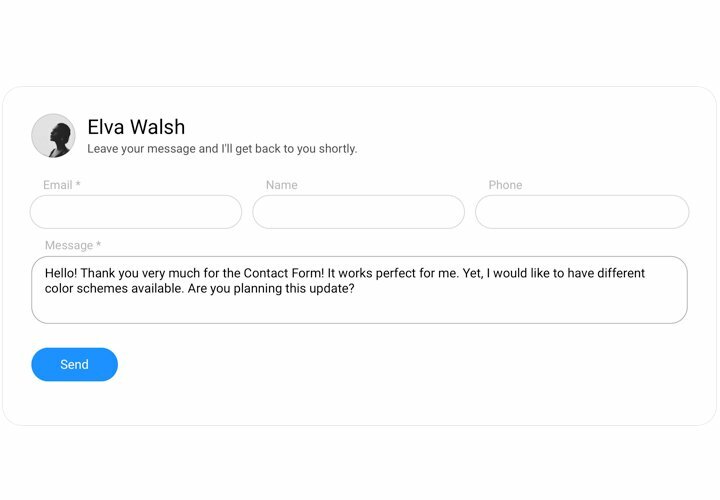 Thanks to our available contact-form, you will be able to acquire more feedback from your website! 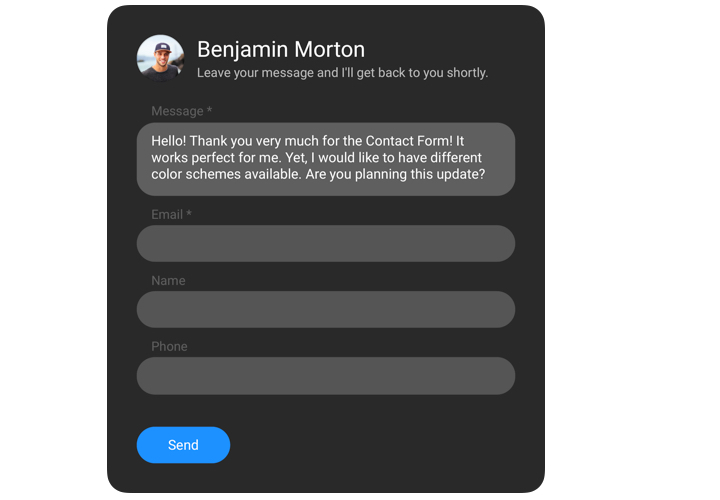 Using convenient templates, adaptive interface and individual «Thanks You» messages, you show to your clients their worth for your company. Seamless design which suits 99% sites out of the box. Study tutorial by Elfsight, to integrate contact app to your website. No need to have skills in programming and complete embedding time is just 1 minute. Go to «GET THIS APP» on the page with Contact Form and embed the app to your BigCommerce site. On this stage, in «My Apps» section, add needed data and specify parameters of the design. 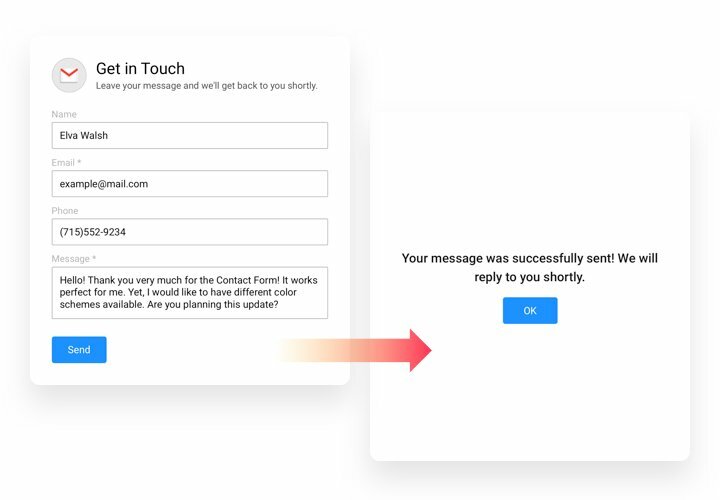 Display Form on your website. Enter «Storefront» «Web Pages», define the page for embedding the widget and paste the widget code there. Enter your shop, to view your Contact app! Do you have any problems while applying the instruction or installing your form? 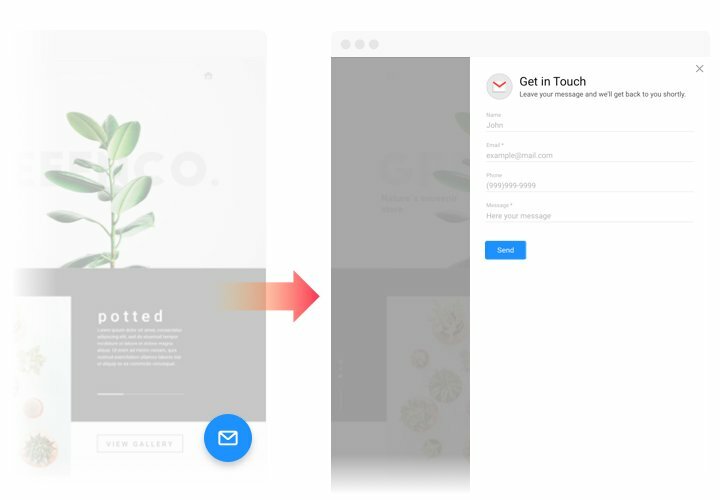 It’s highly recommended to study a detailed manual «How to add Contact form to a BigCommerce website» and take a second chance to embed it one yourself or address Elfsight support center with full description of your issue, and our team will be happy to advise. Try BigCommerce Contact Form right now!